Denny Jump (Bellevue, WA, United States) on 17 December 2017 in Plant & Nature. Green Blackberry vines provide a foreground for these beautiful Birch trees in late autumn. here in Washington State. 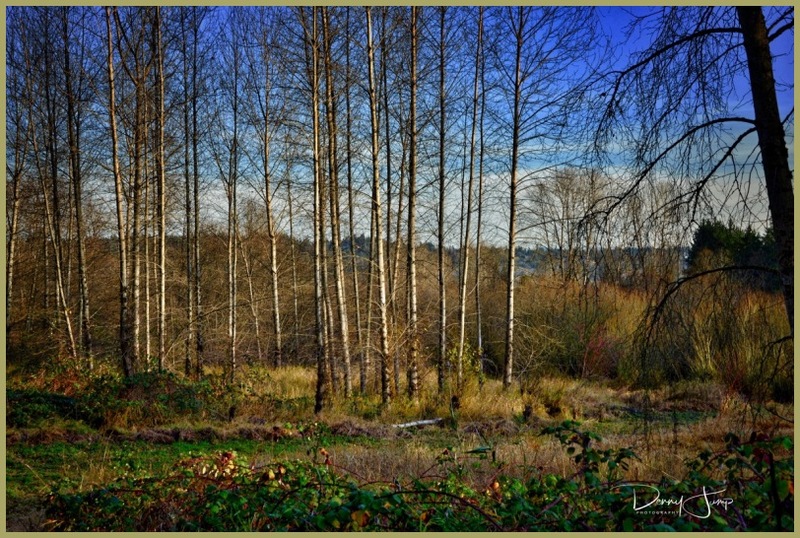 I sense the fresh air in this one, Denny, and I love that topping of blue sky above the trees. Such a beautiful image. Love it. Beautiful varied landscape with so many interesting elements and textures. It looks wonderful Dennis. . . and all under the light of a beautiful day. Splendid light and colors captured in this beautiful layered composition!! The lovely birch trees remind me of the aspen. Nice work. Such a beautiful view! I love the color. This is gorgeous Denny!